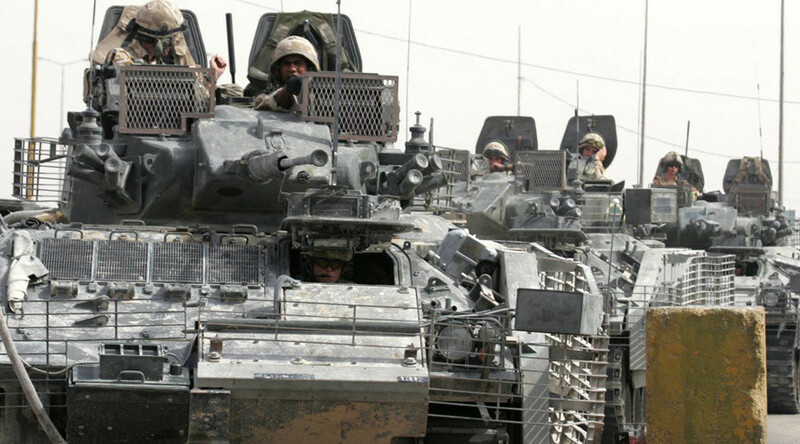 The British military may soon start stockpiling tanks and other heavy equipment in Eastern Europe as part of NATO's military beef up close to Russia's border. 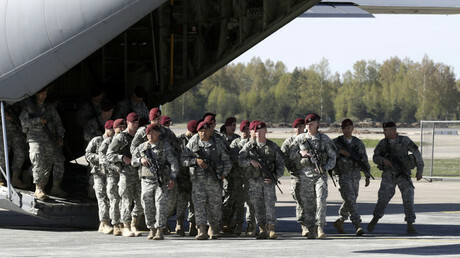 The decision may come at the upcoming NATO summit in Warsaw in July. Citing a threat to the Baltic States and Poland, the North-Atlantic alliance plans to deploy as many as 4,000 additional troops in those countries. The initial plan was for the US to provide half, with Germany and the UK shouldering the rest of the cost. However, last week the Wall Street Journal reported that Washington would only provide one 1,000-strong battalion and wanted the European members of the alliance to spend more on their own defense. Britain's plan, however, remains the same. It will provide an armored battle group, which usually consists of about 1,000 troops, backed by tanks and artillery, to be deployed in the Baltic, the Times reported. Britain's other plans under consideration are to stockpile tanks and other military hardware across Eastern Europe and ramp up air defenses, the newspaper said. Russia considers NATO's new deployments a hostile move and says they violate the spirit of the agreement the alliance signed with Moscow in 1994. NATO pledged not to deploy 'significant forces' in Eastern Europe on a permanent basis. However, it has been circumventing its pledge by rotating troops, as is the case with the four planned battalions, and debating the meaning of the word 'significant' in the deal, which was not legally defined. The alliance claims that its military buildup at the Russian border is needed to counter Russian aggression. It justified the stance using the Ukrainian crisis, during which its region Crimea opposed a coup-imposed government in Kiev and voted in a referendum to break up from Ukraine and rejoin Russia. Moscow used its military, which was stationed in Crimea under a treaty with Ukraine, to prevent violence during the transition period. Kiev's foreign sponsors say the move was an annexation through military force rather than an exercise in self-determination. The three Baltic nations, which were parts of the Soviet Union, and Poland are the most vocal European proponents of escalating the tension between NATO and Russia. Hosting additional troops gives those countries a boost to their local economies, but also makes them a target for Russian military planners, who respond to the extra military presence there. Moscow insists that it poses no military threat to any NATO member and accuses the alliance of warmongering aimed at justifying greater military spending by European nations.